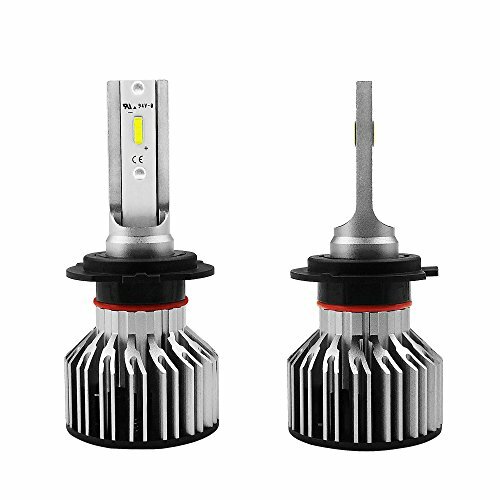 HIGH BRIGHTNESS: Lastest CSP TX1860 led chips with 6000K cool white light ；'200% brighter than your stock Halogen headlights. S6 technology to ensure a perfect beam pattern without any dark spots or foggy light. EASY INSTALLATION:Can be installed in 20 mins. No relay. No capacitors. No extra wiring. Plug and play. IP68 WATERPROOF: Water-proof and heat-protected with integrated cooling chip and fan for heat dissipation. Rainproof driver, housing, and fan works even in extreme situations. Automatic short-circuit protection. If you have any questions about this product by Amazing, contact us by completing and submitting the form below. If you are looking for a specif part number, please include it with your message.